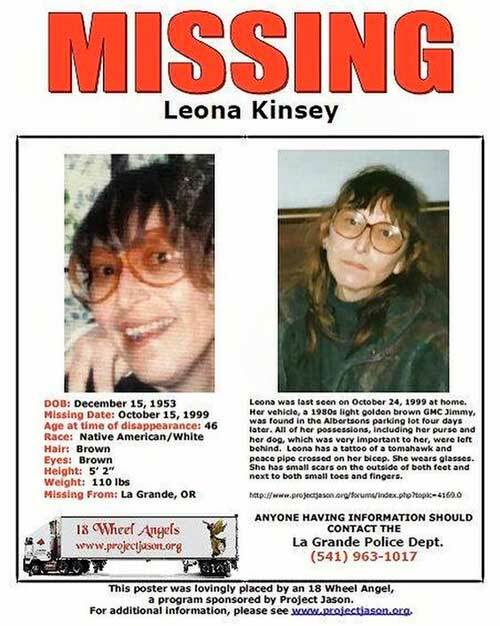 This missing person poster provided by Carolyn DeFord is seeking information in the 1999 disappearance of her mother, Leona Kinsey, in La Grande, Oregon. 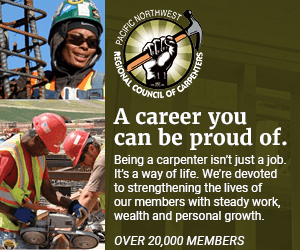 DeFord believes her mother, a member of the Puyallup Tribe, was likely a victim of foul play at the hands of a man she was supposed to meet that day. No one has been charged in her case. (Courtesy of Carolyn DeFord via AP)Leona LeClair Kinsey was a fiercely independent woman who could go pheasant hunting, serve the bird for dinner, then take the leftover feathers and turn them into an artistic gift. DeFord was 25 when her mother disappeared, and for nearly a decade, whenever she met someone new, she'd bring her mom up within minutes. "It was like I wore a nametag, 'Hi, my name is Carolyn. My mom is missing.'" Last May 5, the National Day of Awareness for Missing and Murdered Native Women and Girls, the Meskwaki Tribe helped organize a "Bring Her Home" walk to raise money for a continued search. "I think about her every day," her mother says. "I pray every night and I pray every morning that she's going to be found, wherever she's at. "I know I have to take care of her kids. That's what keeps me going."